FAIRFAX, VA--(Marketwired - Apr 29, 2014) - Winners in the new Asia-Pacific Stevie® Awards, the only business awards program to recognize achievement in business throughout the entire Asia-Pacific region, were announced today. 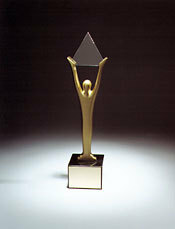 The complete list of Gold, Silver and Bronze Stevie Award winners is available at http://Asia.StevieAwards.com. The Stevie Awards are widely considered to be the world's premier business awards, conferring recognition for achievement in the workplace over the past 12 years in programs such as The International Business Awards and the Stevie Awards for Women in Business. The Asia-Pacific Stevie Awards are the first new Stevie Awards program to be created in seven years. Stevie winners will be celebrated and presented their awards at a gala banquet at the Lotte Hotel in Seoul, South Korea on Friday, 30 May. Tickets for the event are now on sale. All organizations in the 22 nations of the Asia-Pacific region were eligible to submit entries. Nominations of more than 500 organizations were considered for the awards this year. More than 50 executives around the world participated in the first round of judging to determine the Gold, Silver and Bronze Stevie Award winners. A second judging panel will choose a very few Grand Stevie Award winners beginning the first week of May. The Stevie Award trophy, made by the company that makes the Oscar and other major international awards, is among the world's most coveted prizes. For more information about the Asia-Pacific Stevie Awards, visit http://Asia.StevieAwards.com. The Stevie Award is one of the world's most coveted prizes.